Poor Health... All Without Dieting! 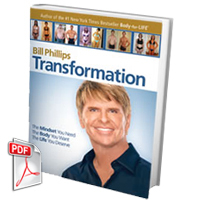 “Bill is a genius at awakening individuals’ potential for transformational greatness. 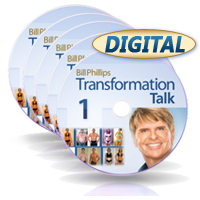 “Check out my friend Bill Phillips’ inspiring new program, Transformation. On the other hand, there is a very small percentage of people in this world who can get results from any diet program because they go at it almost like a machine. Sure supersized portions, addictive ‘nutrient dead’ foods, and inactivity are literally killing millions of Americans and robbing children of their healthy futures. But the truth is, unless you address excess body fat with a holistic approach–meaning you consider the mind, body, heart and soul–you’re not going to get immediate or lasting results. The sadness, shame and desperation heard in these voices may sound familiar to you. And the take home point is this: Dieting is like clipping a weed at the ground surface—as long as the root is intact, it will come back. But I’m sure you don’t need to hear this from me—when you think about it, your past experiences have proven this to you over and over again. A leading Neurologist named Ronald Ruden, M.D., Ph.D., has done groundbreaking work in how emotions and thoughts impact something he calls ‘bio-balance.’ The simple explanation of ‘bio-balance’ is when you're free from toxic emotions, negative thoughts, and you feel connected to other people in the world, your brain becomes much healthier and happier. This in turn allows you to feel good, enjoy a healthy state of mind, control your weight and experience more energy! On the other hand, when your brain is out of bio-balance, it’s constantly working against you by causing cravings and stress, which of course lead to overeating, weight gain, poor health, low energy, and depression. The good news is that there’s a scientific, safe and natural way to restore healthy bio-balance so you can burn DOUBLE the body fat, feel better, and enjoy life more than ever. This is accomplished by following 18-specific action steps that I’ve developed in my new Transformation Solution Program. Step #1: The first step begins with a proven, practical and fun activity program that requires less than 2% of the time a person has available to them each week. Believe me, you don’t need to spend hours in the gym to get extraordinary results. In fact, you don’t even need to step foot in a gym if you don’t want. I’ll show you how to get maximum fat loss and ‘feel good’ results in minimum time while doing activities that you really enjoy. Step #2: From there, I’ll introduce you to a scientifically safe, balanced and very practical way of nourishing your body with the right foods. We will NOT starve your body—we feed it all day long with delicious and nutritious foods that will help you burn fat, overcome food addictions, and stop cravings. In fact, a recent study conducted by the Harvard School of Public Health discovered that men and women who regularly followed just ONE of my 18 bio-balance Transformation tips lost 225% more weight than those who tried to go it alone. That’s more than DOUBLE the amount of fat burned! This breakthrough finding was published in The New England Journal of Medicine, February 26, 2009. These men and women have achieved extraordinary results by applying the principles of the Transformation Solution. You’ll notice that for each individual, results vary, depending on their genetics, how much weight they have to lose, and how closely they apply the Action Steps. And while there are no typical results (you may lose more weight, or not as much as these inspiring examples), when you follow the plan, you will become healthier! Then there’s Carolynn Lovejoy. She was angry, judgmental and so depressed she wondered if her kids would be better off without her. Typical diets didn’t work for her but with The Transformation Solution she became 81 pounds lighter and found hope and happiness in her life again. Or how about this Grandfather, Marty Goldman. He made his courageous Transformation after tragically losing his son Tom, an Iraq war hero and father of three. Or, Valerie Fontanez. She was binge eating to escape shame and guilt at 260 pounds and was on a very dangerous path (both mentally and physically). Just look at her now after she applied the Transformation Solution principles and completely turned her life around! But What About Rebound Weight Gain? Unlike diets that damage your calorie-burning metabolism and eventually make you regain the weight, The Transformation Solution addresses the real underlying issues that are causing you to add body fat. This way, you’ll not only become lighter, healthier and happier, but with the proper bio-balance and following the Transformation Action Steps, you can keep these results for life. No other program does what The Transformation Solution can do… and the BEST part is, the key to the program isn’t a starvation diet or endless exercise—it’s all about losing weight and becoming lighter by learning how to feel good, from the inside out. 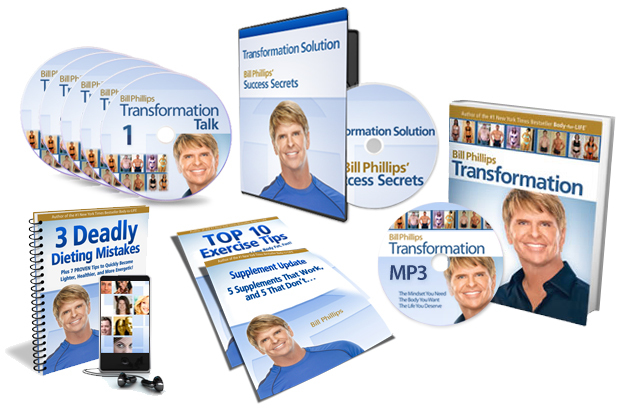 The Complete Transformation Solution Program! Get Instant Digital Access—No Waiting! What’s more, Transformation also includes a revolutionary, step-by-step plan that will help you overcome the hidden roadblocks to your overall success. I’m talking about proven strategies to resolve emotional blocks; breakthrough limiting beliefs and habits that may be keeping you stuck; transform addictive patterns into healthy new habits; all while giving you more energy and positive feelings. Unlike mere diet programs, The Transformation Solution Program is truly holistic in that it takes the mind, body and emotions into consideration. This bio-balanced approach is what sets this program apart. It’s also what will allow you to DOUBLE your fat loss without traditional dieting. Solution #2: The Transformation Book on Audio: For those of you who are crunched for time, or for those of you who aren’t readers, I’ve recorded Transformation on MP3 audio so you can listen over your computer, while you drive, at the grocery store or whenever you need some guidance, support and encouragement. This book on audio is perfect for today’s busy, fast-paced world. Plus, in this Brand-New Audio Book, I talk you through each aspect of the process, sharing my own personal stories, and giving you tips and examples. Solution #3: Transformation Live Seminar Video: In this 60-minute video presentation, which has never before been made available to the public, I share key Transformation insight and tips which will help you further understand and apply the lessons of this life-changing program. You’ll also learn from Transformation Champions who share their secrets to success on stage. Oh and you’ll love the surprises… there’s quite a few in there!! Solution #4: My 5 Favorite Transformation Talk Radio Shows: If you’re interested in breakthrough information on improving your health, becoming lighter, and overcoming obstacles then you’re in for a treat. Within these favorite shows I interview Transformation Champions about their secrets to success while revealing new findings to help you succeed. These shows will enrich you with practical knowledge, warm your heart, make you burst out in laughter, and inspire you to action! 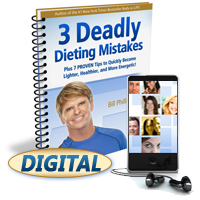 Solution #5: The 3 Deadly Dieting Mistakes Audio: Millions of people start diets every year but only a small percentage ever succeed at losing weight and keeping it off. Why? Because traditional diets don’t work. In fact, many of these diets can be harmful by causing you to gain even more weight. Get the facts and discover my 7 proven strategies to become lighter, healthier and more energetic. Solution #6: Supplement Update: Are you curious about which weight loss and health supplements are worth your investment and which is a waste of time? If so, this Special Report is for you. 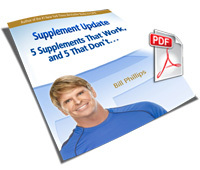 Inside, you’ll discover my 5 favorite scientifically-backed health-food nutrients as well as a WARNING about the 5 categories you should avoid. 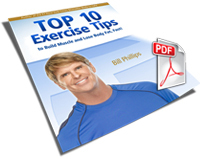 Solution #7: My Top 10 Exercise Tips for Sustainable Results! There really are simple strategies you can put into action to help you make exercise a part of your life. These 10 Tips will help you get better results in the short and long term. Also included is a video showing my favorite 12 free-weight exercises for building muscle and burning fat. Follow these 10 Tips and you will become healthier and stronger! As you can imagine, this entire 7–part program is valued at well over $300 and today you can get it more than ½ OFF… with one easy payment of $47 with nothing more to pay later. The Transformation Solution really is a proven way for you to become lighter, healthier, happier and more energetic than ever before. I want to emphasize though… if you’re looking for another empty-promise diet program that hypes overnight weight loss without any effort, than this really isn’t the program for you. I’ve dedicated my entire adult life to protecting millions of men and women from all the empty promises out there in the diet industry. And good heavens there are a lot of them! That’s why I don’t blame you if you’re a little bit skeptical about The Transformation Solution. It’s perfectly normal. So here’s what I’m going to do to put your mind at ease. Simply agree to test drive The Transformation Solution for up to 60 days and join our supportive community that comes free with your purchase. And if for some strange reason you don’t become lighter, healthier, happier and make dozens of new friends, just send me an email and I’ll immediately give you a fast and friendly refund for EVERY penny you invested in this proven program with absolutely, positively no questions asked. That’s how confident I am in you and this breakthrough program! NOW is the TIME to click the Add to Cart Button below and immediately start getting the results you’ve always wanted. Unfortunately, you and I both know that if you don’t take action now, chances are, your busy life will take over and you never will. Don’t let that happen to you. Give yourself the opportunity to get the healthy body and happy life you truly deserve! I can’t wait to get started helping you become an inspiring success story of your own so you too can feel great and make a healthy difference in the lives of so many others. I wholeheartedly believe we can transform ourselves and our nation from worst to first in health and well-being. We must work together, as a caring and compassionate team to achieve this mission! Thank you in advance for joining me by taking action now. P.S. Don’t forget, this program is ½ Price for a very limited time and with my no-questions-asked, 100% Money Back Guarantee you get 60 days to evaluate the program and make sure it truly is right for you. Get your no-risk copy by clicking here. P.P.S. If you’re still wondering if The Transformation Solution is right for you, take a moment to review the answer to the more frequent questions below. Q: What is The Transformation Solution Program and how is it different than traditional diets? Unlike any other diet out there, Transformation is a holistic process of reshaping your whole person—mind, body, and soul. If my last book, Body-for-LIFE, was a manual for the physique, Transformation is the how-to guide for invigorating the body, mind, heart and soul. When you make healthy changes in your life, you are able to make a meaningful difference in the lives of others. And ultimately, that is what Transformation is all about. Q: Do I have to wait for the program to come in the mail? No. You can instantly access The Transformation Solution Program online over your computer right after you order. This way so you can begin watching the videos and reviewing the material right away without waiting. Nothing will be shipped to you in the mail so you’ll get it right away and we’ll better protect the environment with this paperless download. Q: Am I going to be hungry all the time like most other diets? Not at all. In transformation we don’t diet. Instead, I’ll introduce you to a scientifically safe, balanced and very practical way of nourishing your body with the right foods. We will NOT try to starve your body—we feed it all day long with delicious and nutritious foods that will help you burn fat, overcome food addictions, and stop cravings. What’s more, the principles I reveal on healing emotional blocks, transforming negative thoughts, overcoming addictions and connecting with others is really the key to something we call the ‘bio-balance’ diet solution. This is how you can lose weight by feeling good first instead of trying to feel good by losing weight. 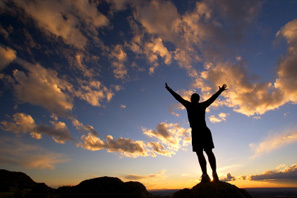 It’s truly a breakthrough strategy that is making an incredible difference for those who are already experiencing it. Q: Do the eating and exercise components of the program take extreme amounts of time and effort? Not a chance. I have got to admit, like you, I am very busy and there is no way I can follow a program for long that takes extreme amounts of time, energy, or willpower. If you are looking for a program that requires excessive dieting, or has you working out like a professional athlete, then this is not the program for you. Transformation is all about learning techniques to relieve oneself from frustration, stress, depression, emotional blocks, excess body fat and poor health. It’s not designed to make life more complicated—it’s here to make your life exciting and fun again! Q: But what about rebound weight gain? Unlike traditional diet programs that damage your calorie-burning metabolism and eventually make you gain weight, The Transformation Solution addresses the real underlying issues that cause non-hunger cravings and excess body fat doesn’t have to return. Q: What if I have a lot of weight to lose, will it work for me? If that’s the case, this program is definitely for you! 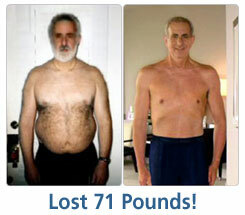 I have students who have lost 20, 40, 60, 80 and 100+ pounds using this program. In fact, Shane Anderson lost 116 pounds and completely transformed himself from the inside out. Now he’s light and energetic with a positive attitude and a new connection with life. You can do it too! Q: I’m not a spring chicken any longer, will this program work for someone older? I have people in their 50s, 60s and 70s successfully transforming their bodies and lives even after decades of failure and falling off track. The principles work for them and they will work for you. Q: Does this program work just as quickly for men and women? We’ve seen the same success rate for men and women. Here’s a great success story of Spencer and Bobbie Cassler, a husband and wife who together became nearly 100 lbs lighter while saving their marriage as well. Q: What if the program doesn't work for me? Then it’s all free. It works like this: If The Transformation Solution Program doesn’t exceed your expectations and help you to become lighter, happier and more energetic, I will return 100% of your money with no questions asked. Believe me, I am so excited about this program all I want is the opportunity to prove to you that it works. Sure, some people will try to take advantage of this generous money-back guarantee. But, I am not worried about them… I am concerned with helping you! 2019 TheTransformationSolution.com All Rights Reserved.